Gordon Lomas is a freelance writer specialising in motorsport and motoring. He worked for News Limited for twenty-six years under various newspaper mastheads. During his career he has covered some of the world's leading motor races, including the Le Mans 24-hour Classic, the Indy 500, the CART series and F1. He first reported on Australian touring-car racing in the Group A days, saw the transition to the V8 Holden and Ford formula, and has regularly covered the V8 Supercar Championship since its inception in 1997. 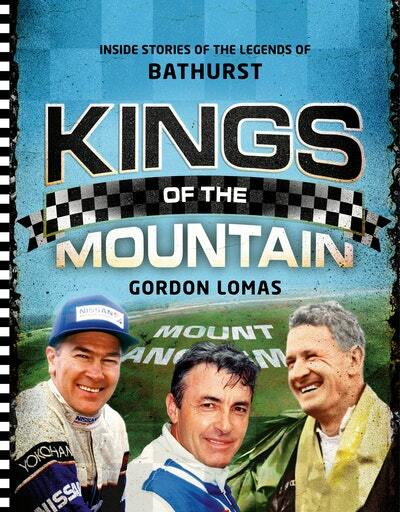 He is the author of V8 Supercars: The Whole Story and Bathurst: Celebrating 75 Years of Racing at Mount Panorama. Be the first to find out about Gordon Lomas.